There are some musicians who can be quite open and chatty onstage, giving the audience much of themselves (see Allison’s recent review of Sebadoh) and then there are those on the opposite end of the spectrum, saying little and adding an air of mystery to their performance. Both Chelsea Wolfe and Russian Circles are closer to this model, with Wolfe saying little onstage while Russian Circles, as far as I can recall, didn’t say a single word during their set. In fact, I’m not even sure that the band had any mics onstage with them at all. Of course, being an instrumental band, the Chicago based post-metallers didn’t need mics, nor do they really need to speak to the audience. For some reason, the aloofness works for them and it seems a conscious decision on their part – in addition to the lack of stage banter, the band also appears to provide their own lighting for the show, eschewing the house lights and setting up their own lights onstage. The atmosphere meshes well with their sound, which alternated between trippy soundscapes and heavy, rhythmic riffing. The no frills approach means the audience has no choice but to focus solely on the music. Not that that was a problem for those in attendance at the fairly packed Horseshoe. 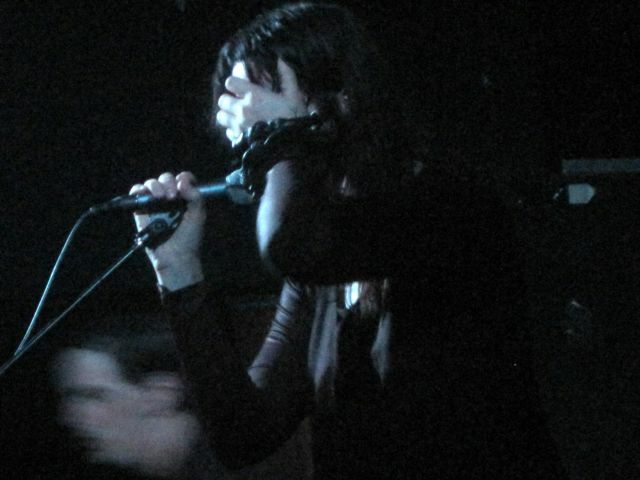 While Russian Circles were good, the main draw for me at this show was Chelsea Wolfe. I’ve been a fan of the singer for about a year now, since the release of her 2011 sophomore album Apokalypsis. She’s touring in advance of her upcoming acoustic album, though for her performance this night, she focused on the older, heavier stuff. Which suits me fine, since songs like “Mer,” “Moses,” and “Demons” sounded great live, her band adding the perfect dark sonic bedrock for Wolfe’s mesmerizing vocals to soar over. I’ve previously described her as sounding like PJ Harvey if she was American and into black metal and I think that still stands. I also hear hints of Beth Gibbons and Marissa Nadler’s work with Xasthur in her delivery as well. Overall, a pretty compelling performance. Toronto – “Hi, we’re the openers.” This was the rather unassuming introduction given by Daniel Brandon Allen, singer/guitarist for Indian Handcrafts, who were indeed the openers for this show. Their music, however, is anything but unassuming. It could best be described as down and dirty stoner rock. With their thick, driving riffs and vocals half shouted and half sung, they join a long line of hard hitting duos that make a lot of racket – Lullabye Arkestra, Lightning Bolt, Japandroids, godheadSilo – and prove that less can often sound like more. They even threw in a cover of Nirvana’s “Negative Creep” for good measure. Between acts, I decided to wander outside for a bit and grab a snack (fascinating story, I know) and when I returned shortly before Chicago’s Russian Circles took the stage, I was surprised to find that the crowd near the front had grown considerably. I did not know these guys were as popular as they are, but when you consider the reception that bands like Isis, Mogwai, or Explosions In The Sky have garnered in the past here in Toronto, I suppose it’s not too surprising that their particular brand of instrumental post rock/metal would go over well. And Russian Circles did not disappoint. They played a fairly long set that was trippy when it needed to be and heavy when it needed to be. Speaking of trippy, I found myself somewhat entranced by the shadow of the drummer that appeared on the ceiling as the band played. Probably realizing that having no frontman means there’s no one to naturally grab the audience’s attention and also realizing that Dave Turncrantz is a powerhouse drummer who is something to see, the band have made him the centrepiece of their show, both literally and figuratively. With lots of backlighting (hence the shadow on the ceiling) and the other two members content to just play, Turncrantz is the de facto focal point. Not that the other two members were slouches by any stretch of the imagination, but were there a lesser drummer (or even just a different drummer), this show would not quite be the same. The only gripe I might have about this show was the encore. Now I have mixed feelings about encores in general, but if you’re going to do it, go for it. That means an encore should be something that hits the audience right away and goes for the gut, so to speak. Not so for Russian Circles. After taking the stage, they played maybe a minute or two of kind of ambient sounds. Now I realize that many of their songs do have a bit of a slow build to them, but it just didn’t seem right. Maybe I was just impatient and maybe it’s a moot point since the song (once it really got going) was a great way to end things off. Regardless, it was a solid show. Toronto – The Sea And Cake are the sort of band that attracts a certain kind of fan. They put on the kind of show where a decent percentage of those in the audience are watching with intent admiration as they play. And with good reason – these guys can certainly play. 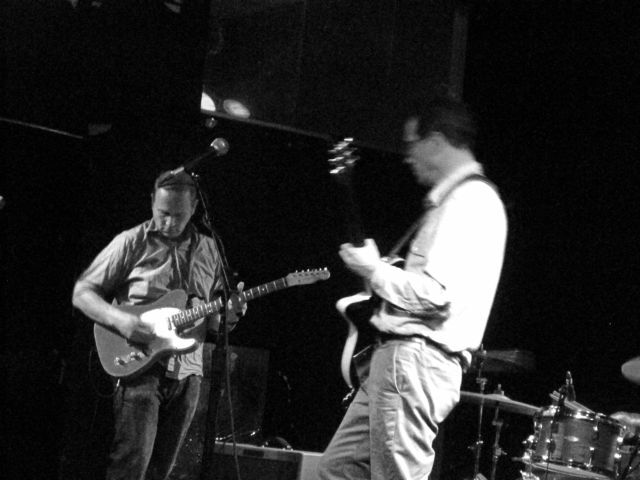 The Chicago post-rockers have been at it since 1994 plying their brand of slightly jazzy, somewhat mellow tunes. Not that it was all that mellow. I wouldn’t exactly describe any of their songs as rockers, but there was a certain amount of aggressiveness in some of the tunes, especially in the propulsive basslines and John McEntire’s solid drumming. Guitarist Archer Prewitt was especially impressive to watch as he would rock back and forth and do a few kicks now and then while playing, all while dressed in a manner befitting a History professor or something. For that matter, all of the band members looked a bit like they could be on staff at a University with the possible exception of bassist Eric Claridge, who bore a slight resemblance to Waylon Jennings. Overall, the band played a great set, with the songs from their latest, The Moonlight Butterfly, fitting in seamlessly with their older tracks. In fact, one of my personal highlights of the night came from that album – “Inn Keeping”. Another highlight for me was hearing singer/guitarist Sam Prekop refer to the crowd collectively as “man,” as in “Thanks, man.” At least I’m pretty sure that’s what I heard. Openers Brokeback also played a great set. The band, led by Doug McCombs of Tortoise and Eleventh Dream Day fame, offered up a set of slow burning instrumentals that brought to mind Neil Young’s Dead Man soundtrack at times and showcased McCombs’ impressive guitar skills. It appears they haven’t put out anything new since 2003’s Looks At The Bird, but here’s hoping they’ve got something else in the works, or at least some plans to play live again every now and then. Toronto – Wild Flag are, as the name suggests, pretty wild. The band is all about creating an atmosphere of rock and roll abandon. Case in point: when I saw the band at SXSW (in a parking lot across from a Whole Foods), Carrie Brownstein not only kicked her guitar cord loose, but also later slipped and fell while rocking out midsong. And then got up and continued her scissor kicks throughout the set. That’s dedication. 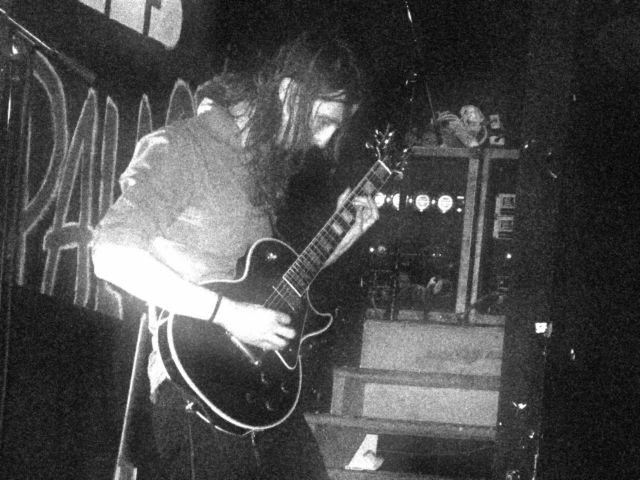 That same energy (and of course, the kicks) was on display during the band’s set at Lee’s Palace. Musically, Wild Flag are a well oiled machine who have perfected the art of jamming – they know how to let the music stretch out and expand but in a way that never felt overbearing or noodly. It was the perfect blend of melody, punk fury and psychedelic passages. 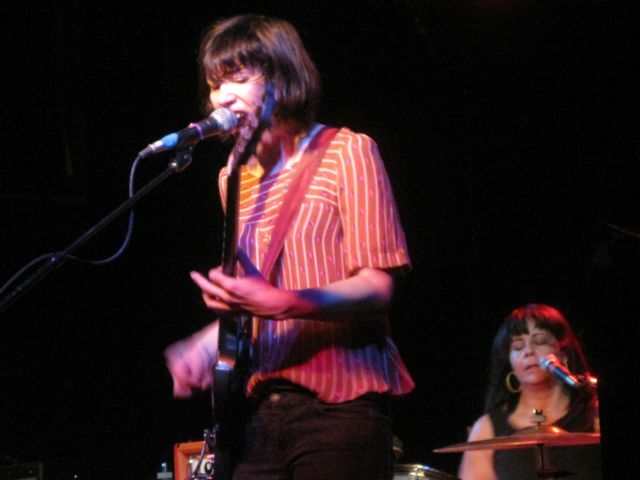 Brownstein and fellow singer/guitarist Mary Timony had plenty of opportunity to show off some guitar heroics while Janet Weiss and Rebecca Cole held things down on the drums and keyboards respectively. Weiss and Cole also offered up lots of great backing vocals that at times almost had a bit of a ’60s girl group vibe. The great thing about watching Wild Flag live is that even though they’ve all individually been at this for awhile, collectively, they still look like they’re pretty stoked to be playing together. Basically, they’re having fun and so was the packed crowd. This sense of fun extended into the encore, where they came out to play a couple of covers, starting with The Misfits’ “She” and then flowing right into The Rolling Stones’ “Beast Of Burden.” Some unexpected choices, but also totally satisfying, as was the entire show.